The deal is expected to close late this year or early 2017. WINNIPEG — BCE Inc. has signed a friendly deal valued at $3.9 billion to buy Manitoba Telecom Services Inc. 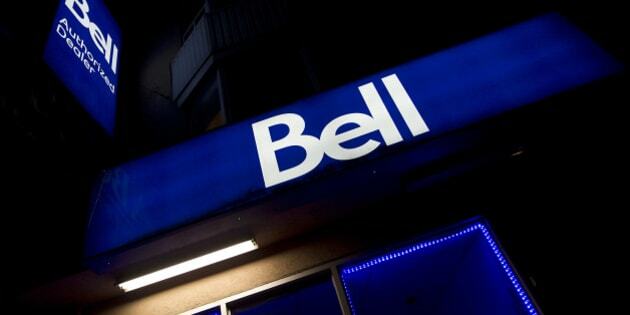 In a side deal, BCE has agreed in principle to sell about one-third of Manitoba Telecom's post-paid wireless customers as well as one-third of the MTS stores in Manitoba to Vancouver-based Telus Corp. — a competitor with both companies. The BCE-Telus agreement requires approval from the Competition Bureau. Neither BCE nor Telus put a value on their agreement. While often allies, the BCE and Manitoba Telecom have occasionally had a combative and competitive relationship. At one time, BCE was a large shareholder of Manitoba Telecom and there was widespread speculation that the Montreal-based company would buy full ownership. However, Manitoba Telecom took a different path to remain an independent company and decided to buy Allstream — a Toronto-based company that competes directly with BCE on a national basis for business customers. MTS announced in November that it would sell Allstream to Zayo Group of Boulder, Colo., in a $465-million cash deal that closed in January. "We are very proud of what the MTS team has accomplished,'' said Jay Forbes, MTS president and CEO. BCE (TSX:BCE) is offering $40 per share, about 45 per cent in cash and 55 per cent in stock, for the Winnipeg-based company's shares (TSX:MBT). Manitoba Telecom shareholders can chose $40 in cash or 0.6756 of a BCE share, but may receive a combination of both cash and shares prorated within the caps set by BCE. BCE will have the opportunity to match any superior offer that may come forward. Each side has agreed to pay a $120-million break fee under certain circumstances if the deal isn't completed. The agreement will require various approvals, including from the Canadian Radio-television and Telecommunications Commission, but is expected to close late this year or early 2017.